It’s nice to see that the latest installment [airs tonight at 9pm] of PBS’s American Experience on Robert E. Lee is getting its fair share of attention. A few months back PBS mailed me a preview copy of the documentary. In fact, I talked with producers of the show about three years ago and even suggested a number of the historians who were utilized as commentators. Of course, I have no idea whether I was influential in their final choice. I’ve read a number of very good newspaper and blog reviews and I tend to agree with the the overall positive consensus. No doubt, the usual suspects will cry foul by accusing the producers of revisionism and political correctness; however, in the end, it’s a solid documentary based on the best scholarship. I could quibble with some minor points, but that would miss the documentary’s target audience. With the official beginning of the sesquicentennial there will be an increased demand for entertaining and serious documentaries and this one sets a high standard. What I value about this series by American Experience is their commitment to ensuring that their programs are based on the latest scholarship. Today I showed a bit more of the History Channel’s “America: The Story of Us” which included commentary from Brian Williams, David Baldacci, and Al Sharpton among others. It was a complete joke. Tonight you will hear from Gary Gallagher, Lesley Gordon, Peter Carmichael, Michael Fellman, Elizabeth Brown Pryor, and Emory Thomas. All are talented historians. I don’t have a direct line to the past. Just about everything I can claim to know about the Civil War is from reading the scholarship of others and, in the case of Lee, from reading these historians. In fact, apart from my own research interest, I don’t really know how to engage in historical discourse apart from scholarship that I’ve read. I am sad to hear you say you liked this documentary. It was vague, generalizing and took many liberties that are not based in fact. I am not totally sure of all the speakers (read Fellman’s book please, there are a TON of inaccuracies in there about Lee, especially about his family tree…he is just wrong). Anyways, I think they over simplified Lee and his reason for fighting and living his life the way he did. 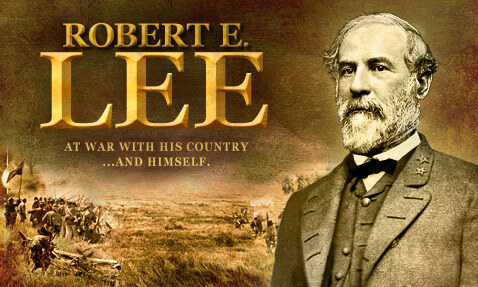 The documentary also portrayed Lee as a product of “aristocracy” and a rich family. That is not true at all….Lee’s mom had to live on good will of many in Alexandria and his attendance to West Point was in some part due to the fact that it would be a free education. None of this was mentioned…the way his father squandered his life and family had a direct affect on Lee and how he lived his life…actually, I think the BIGGEST affect on Lee was his father and learning from his mistakes in life. First, I agree that there are problems with Fellman’s approach, but it is still an approach to history that needs to be considered and he does make some interesting observations about motivation. I highly recomend Pryor’s recent book. The documentary spends plenty of time on the influence of his father. You are right that they could have mentioned his early life in Alexandria and the struggles that his mother endured. It seems to me that the historical record supports the claim re: Lee’s interest in religion though you are right that he did attend church early in life and some of his writing do, in fact, reference God. I think the issue at hand is the way in which he referenced God in some of his later correspondence. Finally, to suggest that the producers of this documentary and commentators disrespected Lee were disrespectful is silly. They produced a solid overview of an important American military man. I thought it was pretty good, especially on his motivation and social context, but missed a chance with Lee’s advocacy of total war effort, kind of making it seem like he was just being cranky. I agree with “American Experience” trying to offer current scholarship, not retell cliches. I like your book choices, although I thought Fellman’s book sucked, and haven’t read Emory Thomas’s. A lot of people think Fellman’s book “sucked” but I am not one of them. Thomas’s book is probably the best traditional biography of Lee, but I highly recommend Pryor’s book if you haven’t already read it. next week’s AE episode is on Grant, just FYI. My thoughts on their “disrespect” on Lee was based in their interp on the ending of his life. They totally missed the boat on how he perceived his own role in reconstruction, how others perceived him and what his ultimate goal was by taking on the Presidency of Washington College. They portrayed him as someone who was unhappy and depressed. Studying Lee’s time in Lexington unveils and totally different person. It was revisionist history at its best I thought. Read what his contemporaries in the North said about his life after the war, and the truth can be found somewhere in between the two. I must admit, I have never finished Fellman’s book. The main reason is there are at least 2 DOZEN inaccurate facts (again, as I said before having his family tree just WRONG…he was not the nephew of Richard Henry Lee!). When I pick up a book and begin to read it and come across blatent bad research and false facts, I cant put any trust into it. The other speakers all have well researched and written books. Dont always agree with them, but they are good scholars none the less. Thanks for the follow up, Bob. You are right that there are a number of mistakes in the Fellman book, but I admire his attempt at going a bit further than most traditional biographers. I think it’s important to stick with Lee’s historical record during the postwar period rather than emphasizing what others chose to emphasize or ignore. Lee never adjusted to emancipation, which we see during his tenure at Washington and Lee. Again, as far as I am concerned it is not difficult to imagine Lee as disappointed with the outcome relating to both defeat and the end of slavery. He was also quite ill at that time. To call it “revisionist” history is simply hyperbole. You can have legitimate disagreements with an interpretation and not dismiss it out of hand in that way. There is nothing unusual about Lee’s views on slavery. Pryor’s book does a thorough job dealing with this issue. The documentary did an excellent job of dealing with Lee and slavery. As to the postwar issue, Gallagher did stress the importance of distinguishing between Lee’s public pronouncements and his private beliefs. Emory Thomas’s book is worth reading here. I tend to see these programs as introductory. Not everything can be discussed and some things end up being oversimplified, which is why I suggested some further readings for those interested. The Grant documentary is also quite good. Thanks again for taking the time to comment, Bob. This is also the man who testified to Congress in 1866 that, in his view, it would be better for Virginia if all blacks there were relocated to the cotton states further south. I don’t think there’s much case to be made that the war, or the South’s eventual defeat, much changed Lee’s views on blacks, nor his inclination to allow them any more social or legal agency than he was compelled to. In this, Lee was really not much different than his peers. I was severly disappointed they did not mention Robert E. Lee’s approval for CSCTs. It would have been a nice comparison to his role as a slaveholder (slaves which he freed in 1863). Thanks for the comment, Brendon. A number of issues could have been explored, but keep in mind that this is a documentary meant to introduce a general audience to the general. Actually, Lee’s views on the recruitment of a limited number of slaves into the Confederate army did not conflict with his views of slavery. If you read the vigorous debate that took place within high political circles and the newspapers it is clear that most advocates did so to preserve slavery. In other words, it is a mistake to see this policy as one of general emancipation. Why wasnt there any mention of Lee emancipating his slaves in the documentary? If they can spend a good amount of time on his treatment of his slaves while at Arlington, why not mention that fact as well? I felt the whole documentary was a synposis of Pryor’s book on Lee…following her themes and conclusions. Also, why was Winston Groom included? I mean….Lee was not Forrest Gump! He added very little as did Jordan. Jordan is a great historian, but this topic seems to be off his line of study (does he know more about Lee than most other history professors in the world?? no). It seemed his inclusion was a force of political correctness. Well, he emancipated his slaves on the eve of the Emancipation Proclamation, which doesn’t tell us much more about his views on slavery than what was discussed. I agree that the producers apparently spent a great deal of time talking with Pryor, which is fine with me given the book’s value. They also effectively used Gallagher. I can’t tell you why Groom was included, though he was a fish out of water. I can’t tell you why Jordan was included, but a reference to “political correctness” doesn’t tell us much of anything. I have to second the love for Pryor’s book. It can be had for a song (or even just a chorus) on Amazon and is well worth picking up. As for last night’s commentators, I really enjoyed the enthusiastic contributions of Peter Carmichael. I like historians who are so obviously jazzed-up about their area of study. Peter was in rare form. That Lee emancipated slaves on the eve of the EP is coincidence. He was at the end of the time period by which his father-in-law’s will required their emancipation, so he was doing no more than fulfilling his requirements as executor. Most of those slaves had already emancipated themselves by that time anyway. The most Lee’s entitled to are some very minor points for not going to court to try to break that portion of GWP Custis’s will. It wasn’t that unusual for heirs and executors to do that and Southern courts were very sympathetic. I’m not at all sure how much beyond his army pay, Lee owned in his own right rather than through his wife and children. His father and half-brother had done an extraordinarily thorough job of blowing through the family assets, including the money acquired by marrying heiresses. Washington, OTOH, while not in the Parke/Custis strata of wealth, was a landowner in his own right, including Mt. Vernon, when he courted &won Martha. Washington’s will distinguished between his own assets and assets he controlled due to his marriage to Martha. As for the slaves at Arlington House (not, of course, the only Custis property), the Union Army occupied Arlington House almost as soon as the Lee family left for safer quarters shortly after the Civil War began and Virginia and Lee joined the rebellion. Groom has actually written quite a bit of non-fiction, including on the Civil War. His “Shrouds of Glory: From Atlanta to Nashville: The Last Great Campaign of the Civil War” is good reading. He had a book out last year on Vicksburg. Saying that, I’m not sure what he’ was doing in anything on Lee. His non-fiction work has been focused on the Atlanta campaign and the Mississippi. I read, and didn’t care for, Groom’s “1942.” It came off to me like an attempted cash-in on the book-about-a-year craze (“1491,” “1776,” “1865,” etc.) A lot of pedantic, textbookish rehashing and not a lot of compelling storytelling. Which is odd, given the author’s background and the fact that the year 1942 was, in fact, chockablock with compelling stories. Winston Groom has written 2 Civil WAr books, including a recent one on Vicksburg. Have you read it? I have not. Even if Groom’s book was good, he hasn’t written about Lee at all. Strange….maybe he is supposed to be the Shelby Foote of 2011? Or maybe they like his accent? Did anyone notice that the battle of Fredericksburg was totally left out? Also, the map used to illustrate Lee’s movement from the Seven Days battles to Northern Va shows lake Anna on it–created by VEPCO in 1973. Doh! How was the Grant episode? I DVR’d it last night but have not watched it. BTW, one of the talking heads in this program stated that other than Cuba, Virginia had more slaves at the time of the CW than anywhere on earth. Really? I thought by that time the migration of slaves to the Black Belt would have drained Va. of many slaves. Also, Brazil did not abolish slavery until 1888, so I wonder if that country had more than Va. in 1860.